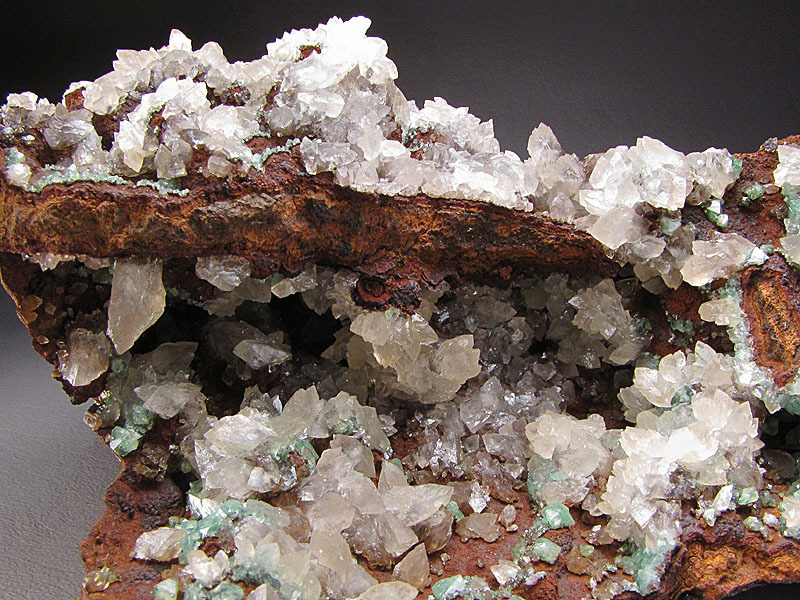 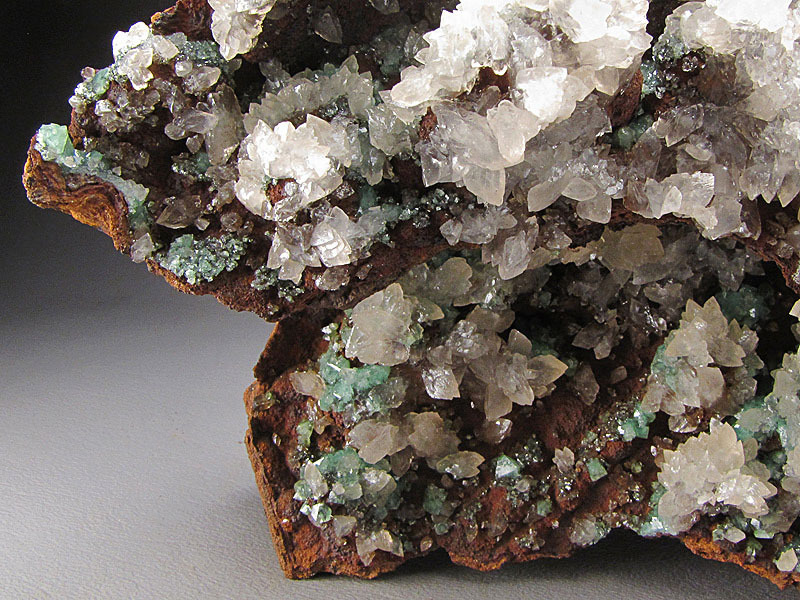 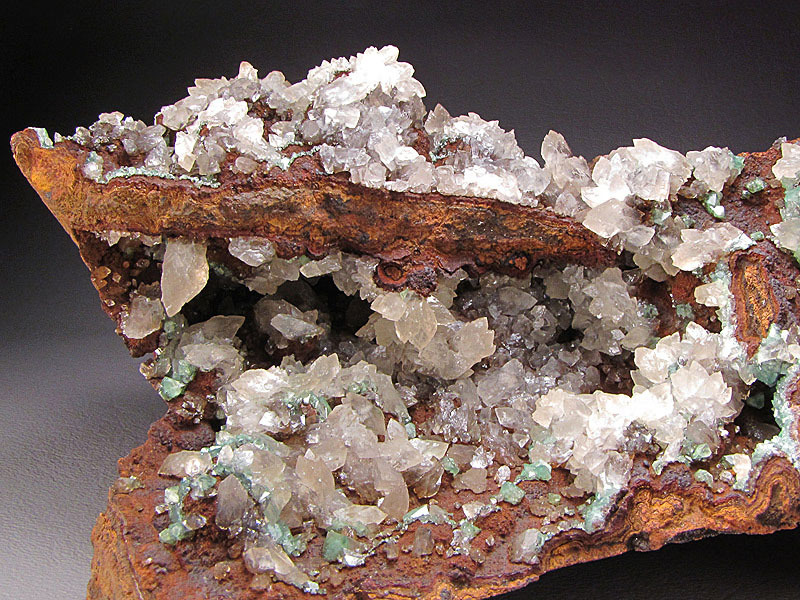 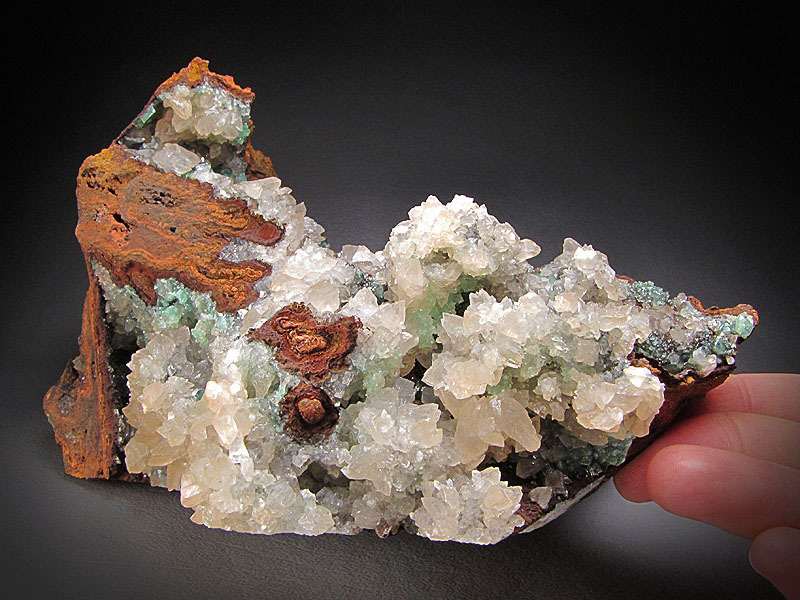 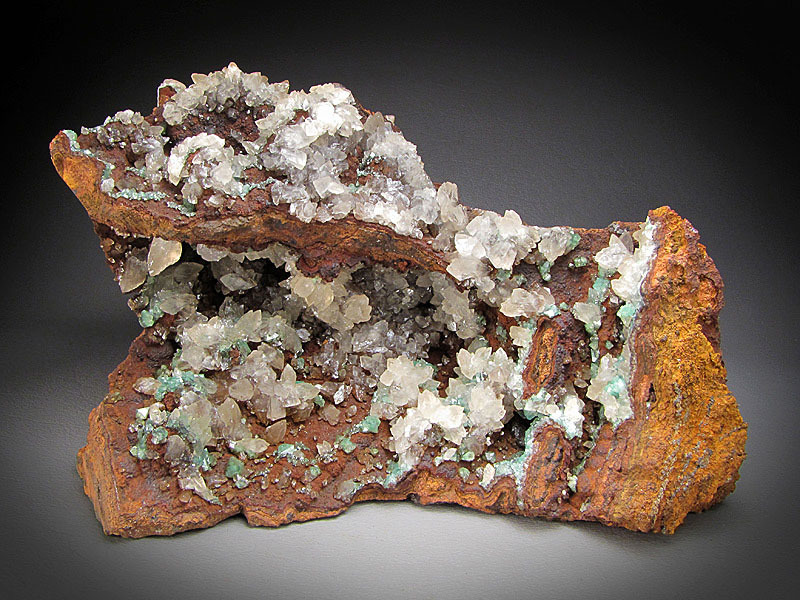 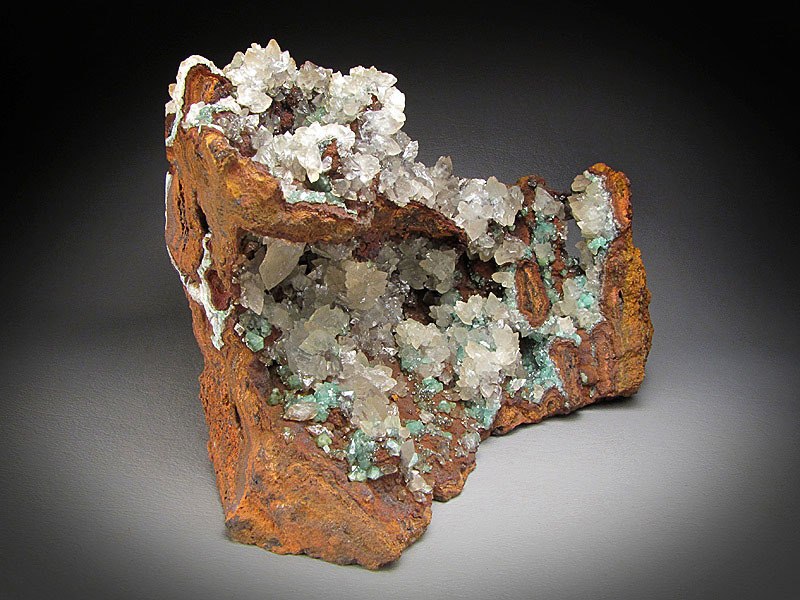 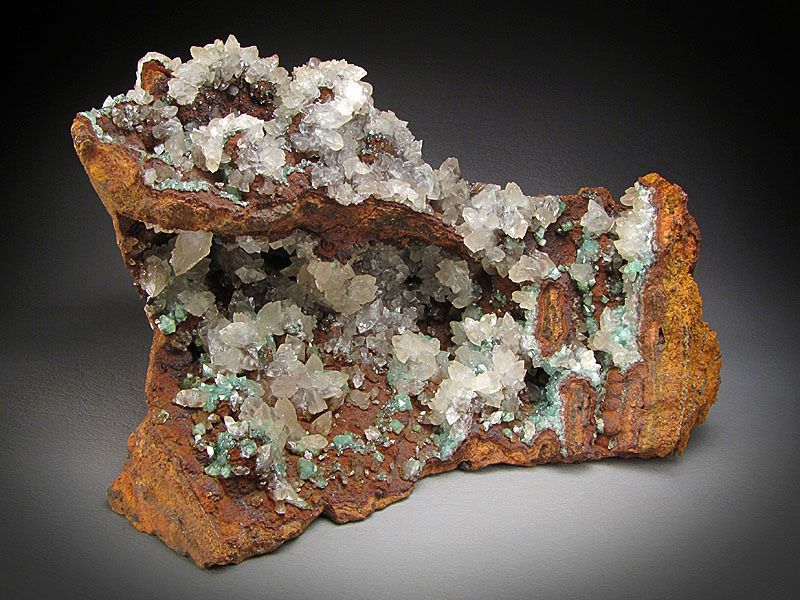 Translucent calcite crystals partially cover green adamite crystals on a limonite matrix. 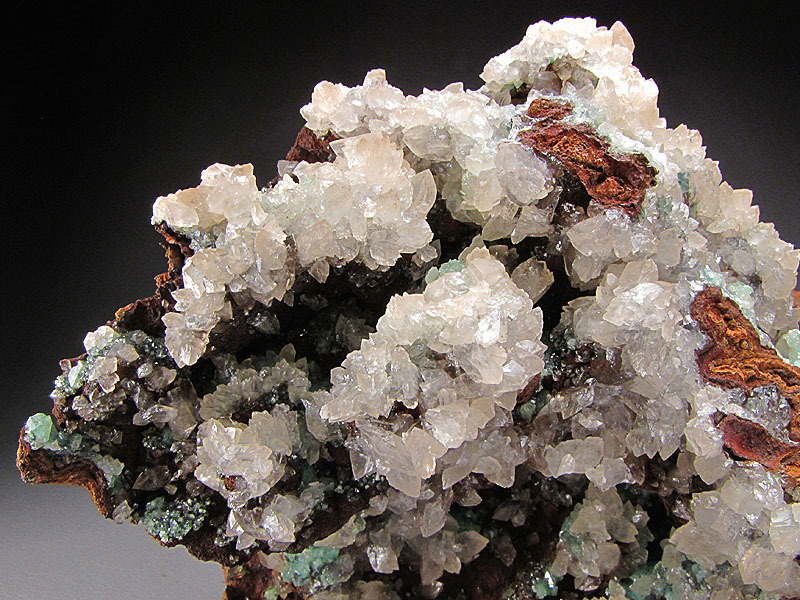 The locality for this piece is the Ojuela Mine, Mapimi, Municipio de Mapimi, Durango, Mexico. 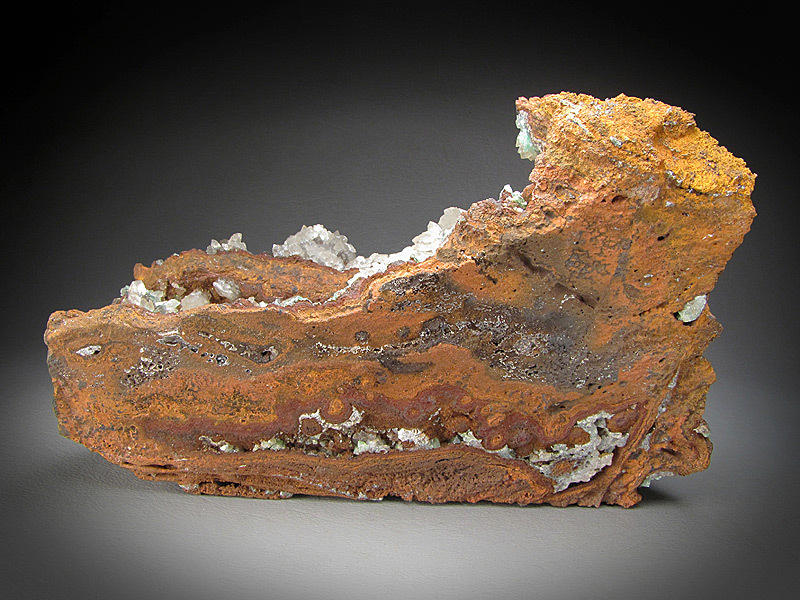 This piece measures 15 cm wide by 9.9 cm tall and 11 cm front to back. 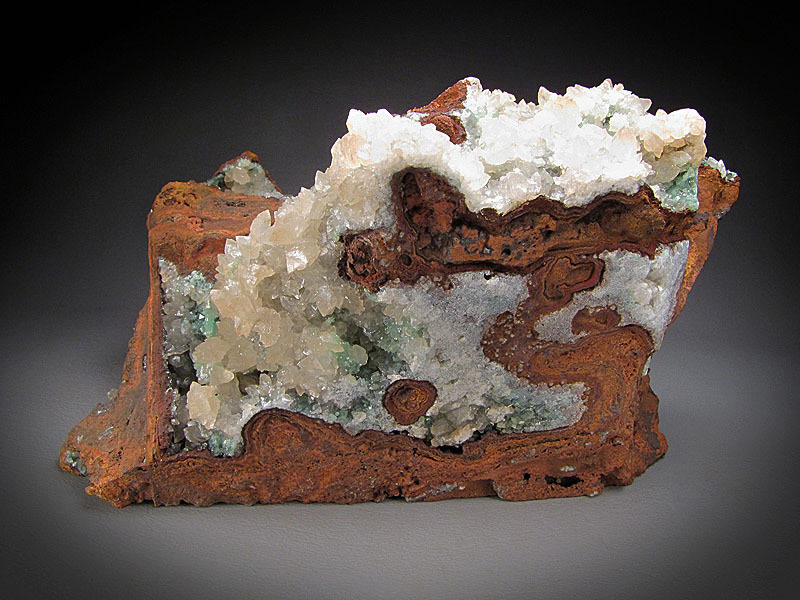 The crystals show a little bruising along the edges of the piece.